A cold foil from brand enhancement specialist API is creating a stunning visual identity for the award-winning SnowFox vodka. Perfectly integrated with the brand essence of the drink from Port Royal Distillers, the API 1000 TA foil depicts the piercing gaze of the iconic Canadian snow fox on its shrink label. SnowFox Vodka is a premium vodka drink with a hint of sweetness for the upscale market, inspired by the purity of the Canadian arctic and its native snow fox. The drink has won the Gold Award for Flexible Packaging at the Canadian Print Awards and the Silver Medal at the New York Wine & Spirits Festival. Applied to the front graphic panel of the shrink label by Spectrol, the over-printable TA cold foil shows a Canadian snow fox in finely detailed close-up, gazing out from above an icy blue labelled area. 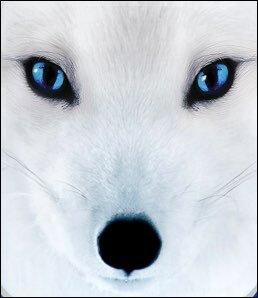 It produces a striking glow-in-the-dark effect, causing the electric-blue eyes of the snow fox to illuminate dramatically in low-lit areas such as nightclubs, drawing the attention of consumers. On the lower blue area, the API foil produces an air of textured high quality by creating a doming effect on the drink’s name and by representing the second “O” in “SNOWFOX” as a paw print. At the Spectrol factory in Ontario, Canada, the foil is printed using a Gallus EM5 10S 20-inch flexographic printing press with ten colours and a full servo drive ( inline). API manufactures and distributes foils, laminates, and holographic materials to a wide variety of consumer brands. The shrink label for SnowFox perfectly exemplifies the packaging trend “Second Skin,” identified in API’s annual trends folio, which describes when the packaging becomes a seamless extension of the product inside.